The novelist, poet and nonfiction writer answers the Proust Questionnaire. 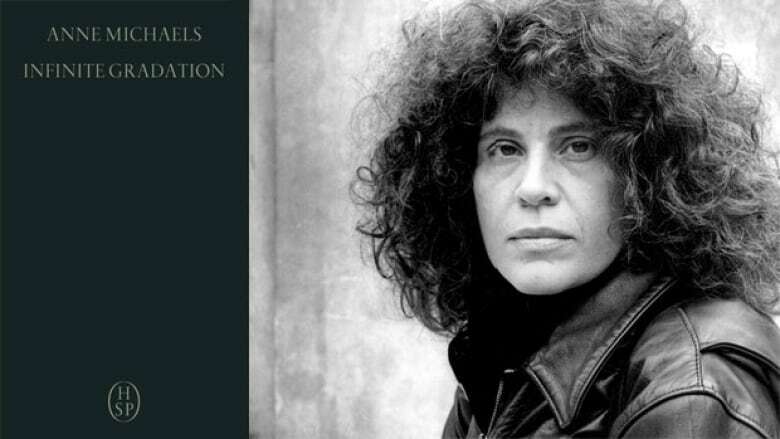 Anne Michaels is an internationally celebrated poet and novelist, whose books include Fugitive Pieces, Correspondences and All We Saw. Her latest book, Infinite Gradation, marks her debut in nonfiction writing. In it, Michaels explores the philosophical implications of language and art. Below, the Toronto writer takes The Next Chapter's version of the Proust Questionnaire. "My favourite writer is John Berger, the British writer. An intimate friend of many decades. His work is saturated with compassion. That compassion is so productive, so generative, so hopeful." "My favourite character is Kent from King Lear. He is wise, resourceful, always concerned with the common good. He's in no way naïve either, yet he lives and breathes by his ideals. I find him a fascinating character. "I also have a great affection for Jane in Jane Eyre. She, also in her way, lives according to her ideals and has almost an impeccable integrity." "I value loyalty. I value trust. I think that a friend will offer a hand before you even know you need it. That's a very extraordinary thing." "My favourite journey is any journey with my children, whether it's to the corner store or to Australia. Any journey we take together is wonderful." "My greatest extravagance is books and probably always has been. It's that moment of realizing that you are holding another person's thoughts, their heart, their effort in your hands. To be spoken to directly, which every book does, is a magnificent thing. It's someone whispering in your ear. It's someone who has opened their heart. A book is a kind of embrace of another human being. How wonderful to be found by a book." "I hope my greatest achievement is yet to come."